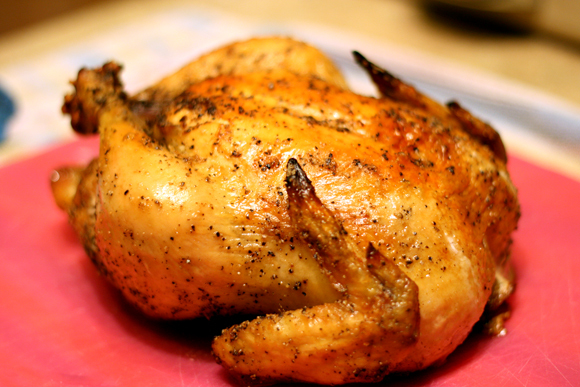 I am utterly amazed by the ease and deliciousness of a simple whole chicken. This bird cost me about $2.50 and only about an hour to make. It doesn’t get better than that! Oh, and Chloe ate a good amount of this chicken without complaint…she even devoured a leg! Preheat oven and an oven-safe skillet to 450°F. Just put the skillet in the oven when you turn it on and it will be nice and hot when you are ready for it. Pat the chicken fry with a paper towel. Rub the bird down with olive oil. Season with salt and pepper. 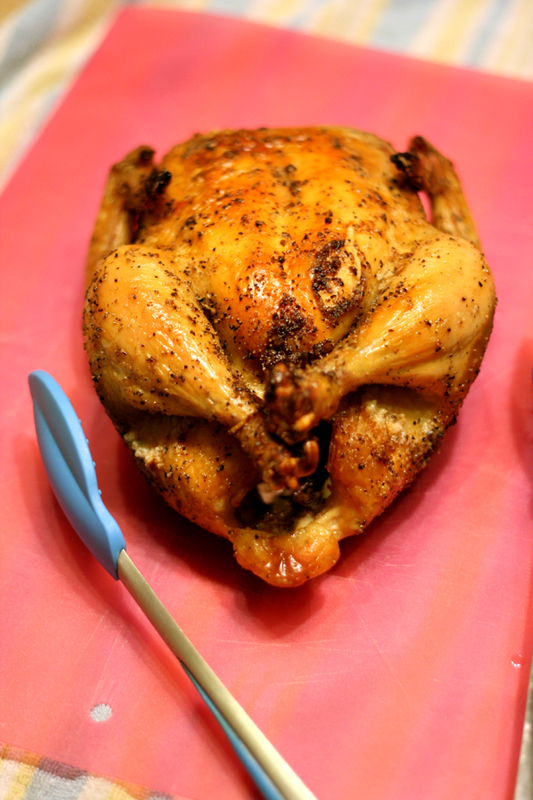 With the chicken breast side up, tie up the legs (as shown in the picture). Carefully remove the hot skillet from the oven and place the chicken, breast side up in the skillet (it will sizzle quite a bit). Place back in oven and roast for about 30 minutes, or until the breast reaches 120°F. Turn the oven off and leave the chicken in the oven for another 30 minutes, or until the breast reaches about 165°F. 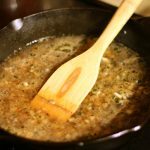 Pour off all but about 1 Tablespoon of fat from the skillet. Add the shallot, garlic and thyme. Sauté over medium high heat until softened. Add the Dijon mustard and chicken broth. Bring to a bubble and let it reduce to about 3/4 cup. Turn off the heat and melt in the butter. 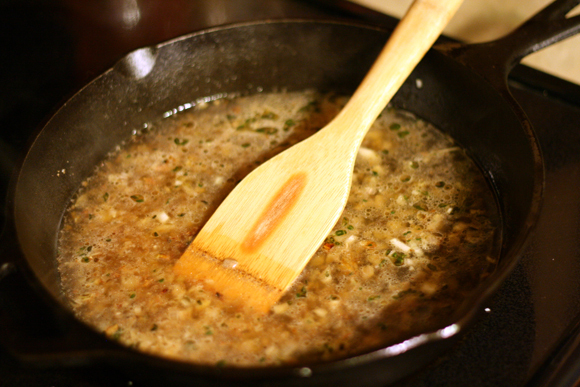 Stir in the vinegar. Carve the bird and serve with the sauce. I also transcribed this recipe from ATK and, including last night, I’ve made it 4 times since the episode aired. It really is one of the best dishes you can make for less than 5 bucks. I also substitute the vinegar (usually white wine instead of sherry), but I had to comment when I read that you left out the dijon mustard. I’m sure the sauce is still good without it, but it’s seriously mind-blowing with it. I thought I had some Dijon when I went grocery shopping, but it got tossed in a recent fridge purge. Very sad. I will have to try it next time with the Dijon!